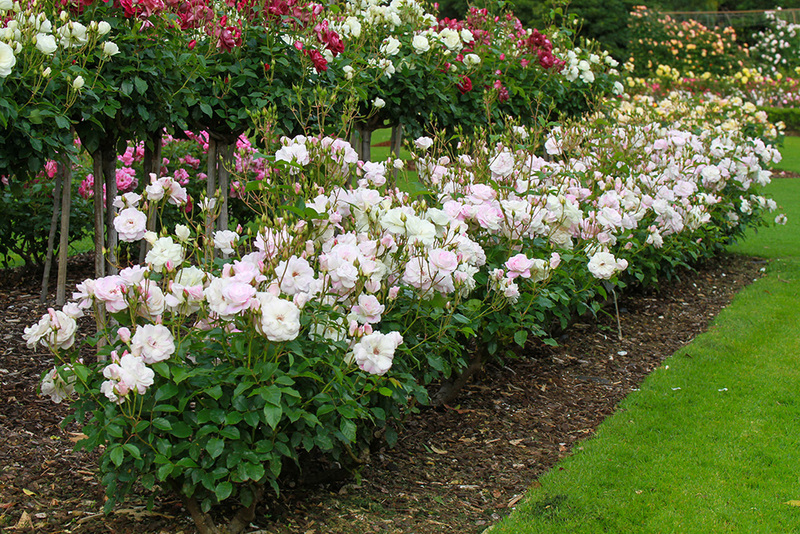 The best way to choose a rose is to see them growing in a garden setting. 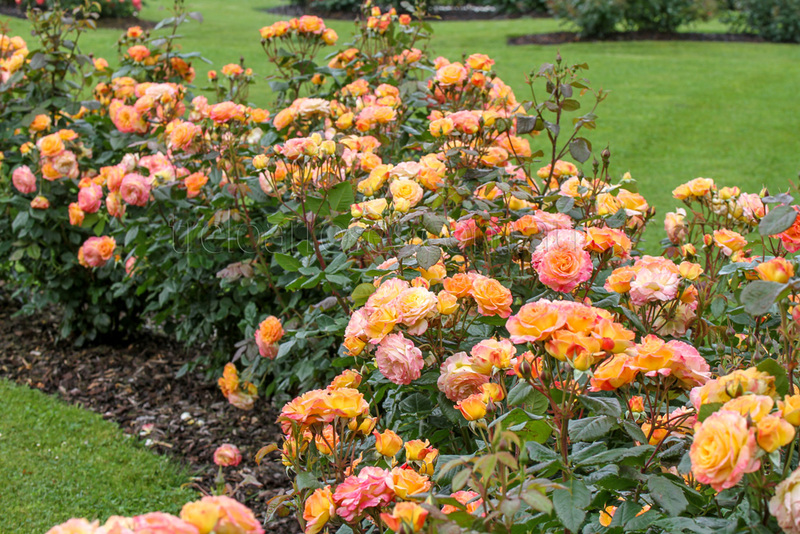 We encourage visitors to our nursery to be inspired by the magnificent display garden which showcases over 200 rose varieties. 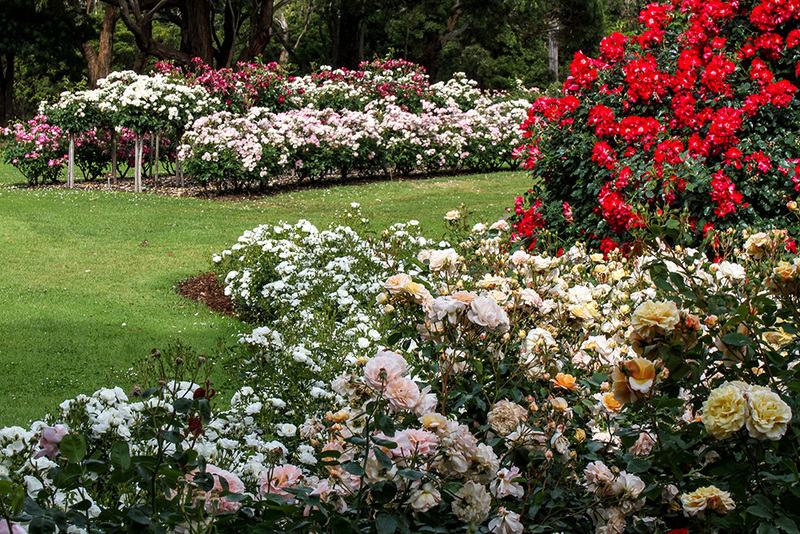 Located in the far south west of Victoria in the beautiful coastal tourist town of Portland, our ever-growing display garden is open 7 days a week for public viewing (large groups must book in advance - tours available on application). The gardens look their best from November through to April and are the perfect place for a relaxing afternoon stroll, picnic lunch or just to get that inspiration for next winter's purchase. 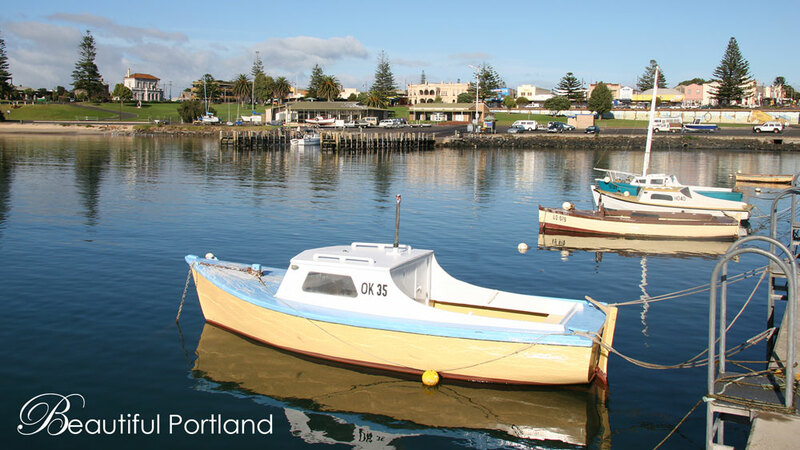 Portland is Victoria's first permanent settlement, established in 1834 and still maintains over 200 buildings from the 1800's. The town boasts many natural attractions including wide sweeping pristine beaches, rocky headlands and secluded coves. The coastline gives way to undulating farming country and National Parks with walking tracks and picnic areas that include the 250 km of The Great South West Walk. 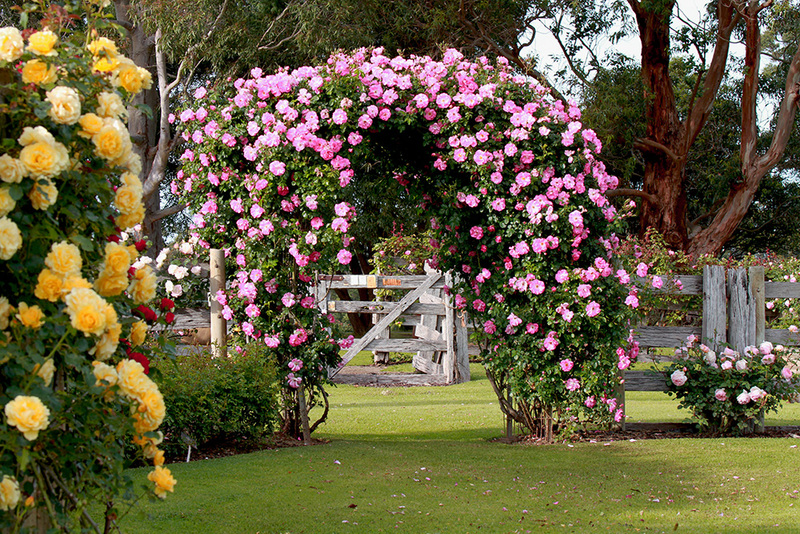 Most outdoor activities can accomodated in the region and Portland has become the gateway to not only the wineries of South Australia but the Gunditjmara Budj Bim National Heritage Landscape. It is well worth a visit for the whole family. For more information on visiting Portland, click here. 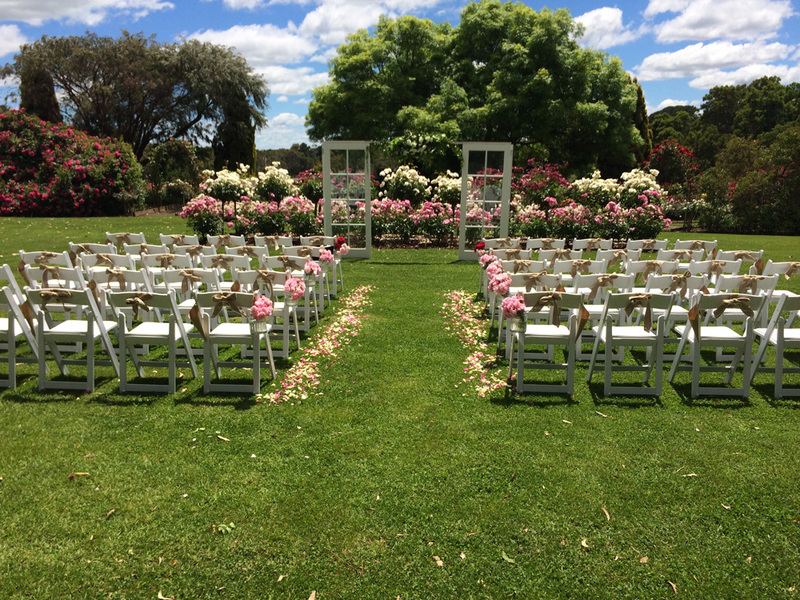 Looking for a beautiful location to have private garden wedding amongst the roses? 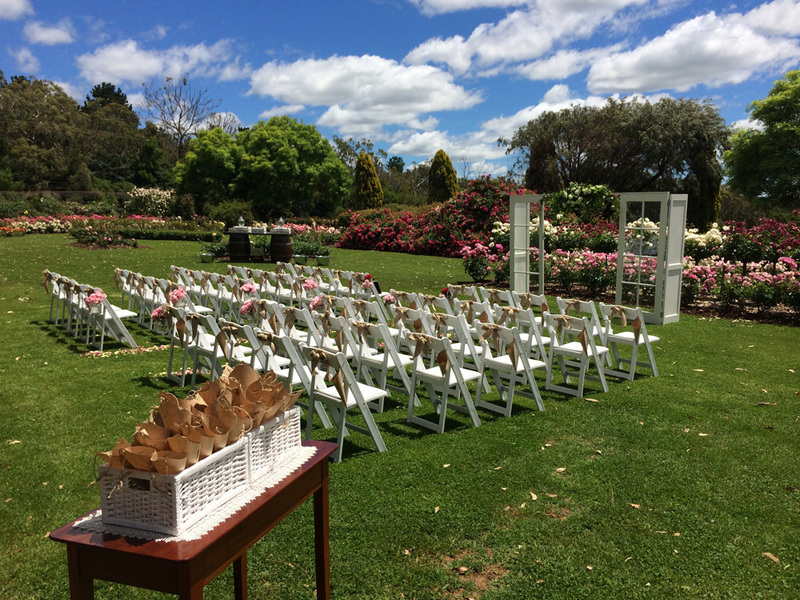 We are happy for you to host your wedding ceremonies in our display garden. Booking are essential, please contact us for more information.